The first in a modern design series of four screen printed posters celebrating hand crafted art and design. A self-initiated project celebrating hand crafted art and design. As a graphic designer, my passion is focused on the International Typographic Style that emerged from Switzerland in the 1950’s. Also known as the Swiss Style, the aesthetic is comprised of an underlying grid and sans serif type that aims at utility, cleanliness and legibility. 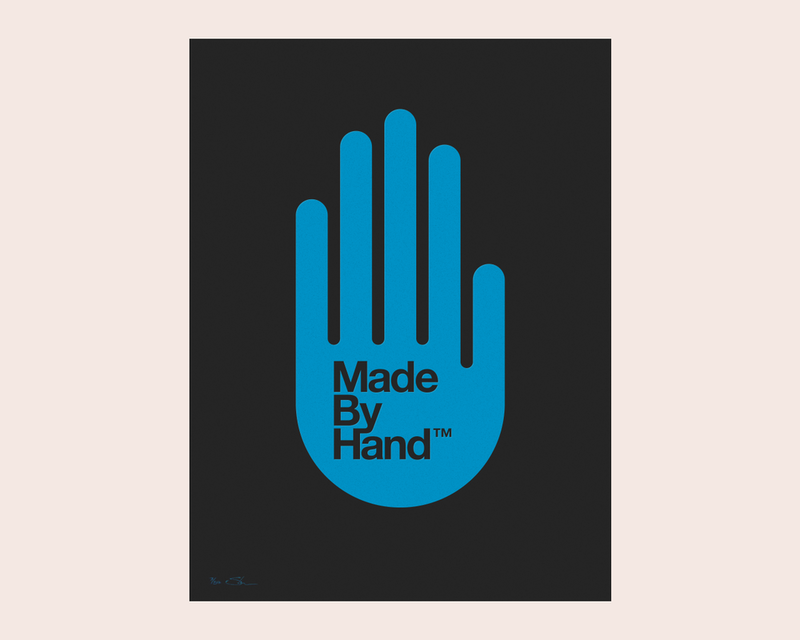 For me, the perfect geometry and spartan typography of this design contrasted with the organic nature of the screen printing process — pulling paint through a mesh screen to make an image — is what makes the Made By Hand series so compelling.